Advanced Acro and Tumbling targets either older or more competent students looking for advanced skills and partner balance combinations. Classes alternate between partner balances and individual advanced tumbling progressions. Learn walkovers, roundoffs, handsprings, flicks and salto’s with an advanced coach. Acro Foundations and Gym Skills continues to leverage other apparatus such as bars and beam to bring diversity to classes over what would be found in classic dance acrobatics. Floor skills, partner holds and balances do however form the predominant focus for this class. Our Intermediate Acro, Tumbling and Aerials focusses on Partner Acrobatics, Floor and Aerial skills utilising the sprung floor area, trampolines and Aerial Silks. Our Aerials and Tumbling Class works predominantly on Tumbling Skills including Salto’s, Flicks and Aerials in addition to leveraging the Aerial Silks. Annual club registration and insurance of $70 applies to the above classes. 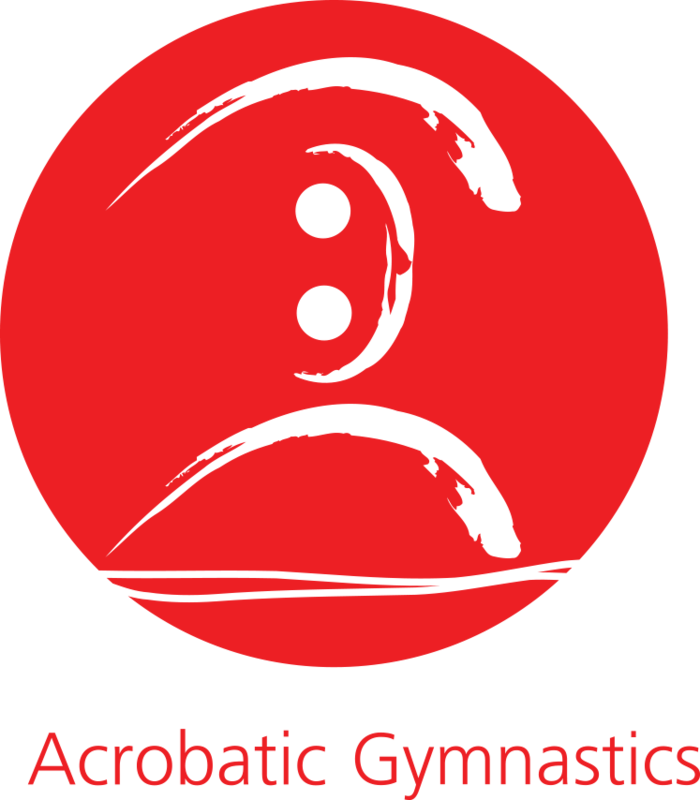 A spectacular sport for people who want to share the thrill of performing balances, flips and twists with their friends. While other gymnasts might handstand on the bars or beam, acrobats find themselves balancing on their team mate’s feet, hands or shoulders. With roles as tops, middles or bases, there is a place for everyone in Acrobatic Gymnastics. Give your child the right start in life. Let them experience Sport Acrobatics and share in the joy and challenge of this exciting gymsport. Acrobatics is a beautiful, dynamic and spectacular sport for both men and women. The sport develops courage, strength, stamina, co-ordination, flexibility, jumping abilities, adroitness etc. Sports acrobatics unites its power and poise, with grace and beauty to create an intriguing sport. Acrobats in groups of two, three and four perform routines with the heads, hands and feet of their partners. Although Sports Acrobatics is the official name of the sport, it is often referred to as acrobatics, acro sports or simply sports acro. Sports acrobatics has five disciplines (as described below): women’s pairs, men’s pairs, mixed pairs, women’s trios and men’s fours. Women’s Pairs involves two females (one base and one top). Men’s Pairs includes two males (one base and one top). Mixed Pairs is comprised of a male (the base) and a female (the top). Women’s Trios (otherwise known as Women’s Groups) has a female base, female middle and female top. Men’s Fours (also known as Men’s Groups) utilises four males (base, middle 1, middle 2 and a top).